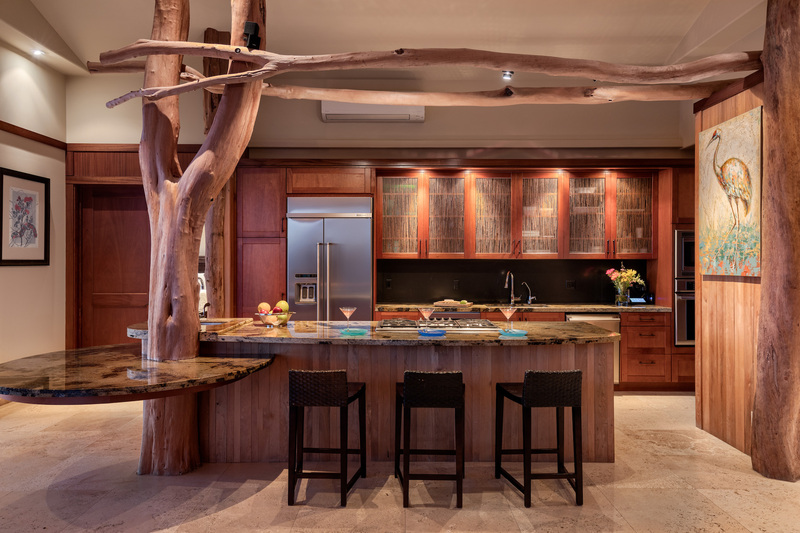 Today’s home is on the Big Island of Hawaii. 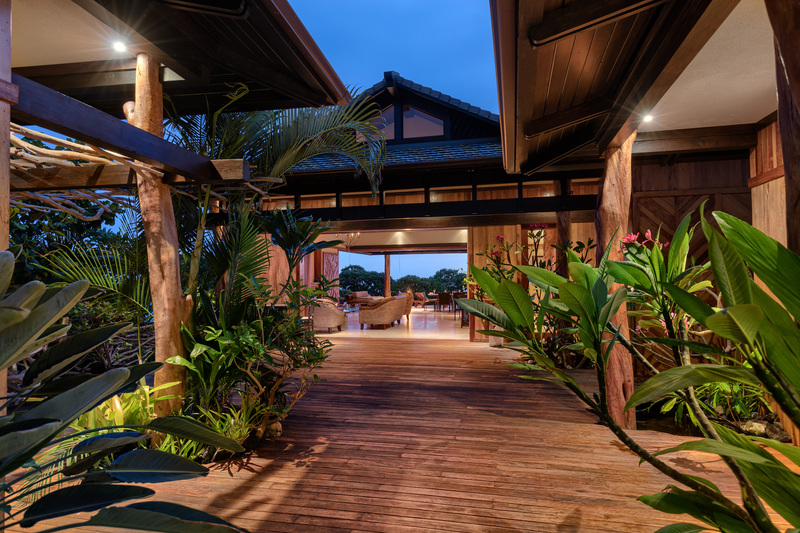 Architect/Designer of Alii Architects, designed and built uniquely with extensive custom woodwork featuring Ohia for siding, decking, trellises, and posts. The home completely opens up through walls of sliding glass panels to gorgeous panoramic ocean, coastline, bay and mountain views. 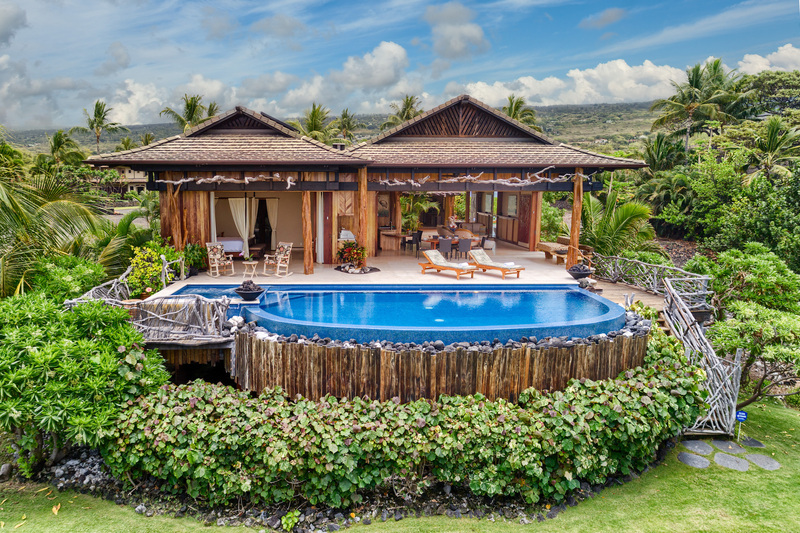 Located next to world famous Holualoa Bay overlooking tidal pools, sanctuary for sea turtles, whales, dolphins and excellent sunset viewing from the large lanai and elevated pool/hot tub complete with two fire features. The home’s great room is complete with large custom kitchen with a large island, gas counter-top stove, built-in table area opening to large living room that has a 19ft high vaulted ceilings, perfect for family gatherings, events, or your own private sanctuary. The master bedroom is off the kitchen with sliding glass panel doors opening to the lanai with ocean views. The master bath has double sinks, custom granite shower and an infinity jacuzzi tub that has a water fall feature from the ceiling. Three guest bedrooms in separate pods around a center court yard area offer privacy for guests or family members, all with stone flooring and private baths with attention to all details.The grounds are beautifully landscaped with fragrant, flowering plants, lush greenery and a pond leading you through the courtyard area to the main house. 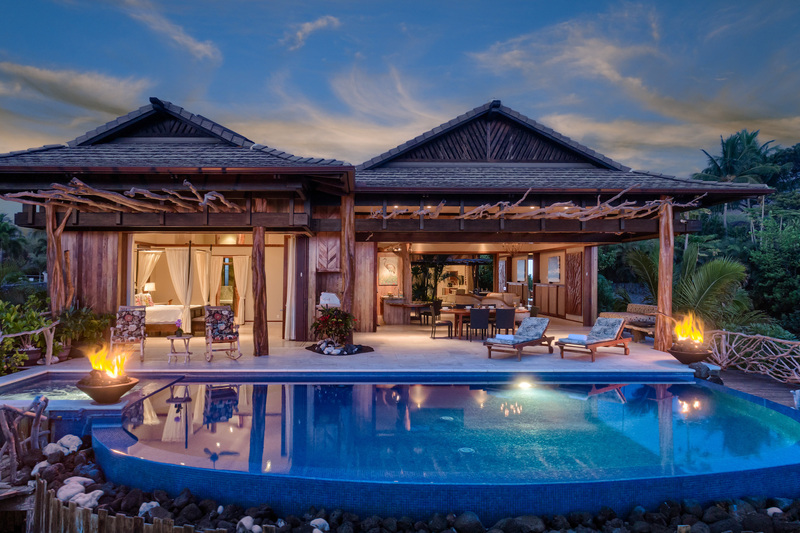 This estate is listed for $3.887 million with Hawa’ii Life and is showcased by Luxury Portfolio.